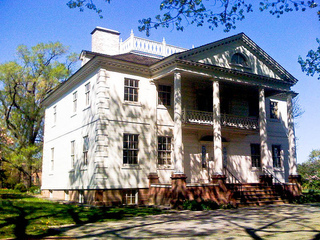 UPPER MANHATTAN — Little- and well-known facts about Northern Manhattan will be the subject of several walking tours of the neighborhood as Wahi Tours kicks off its 2011 fall season. Led by James Renner, a neighborhood historian and author of the book “Washington Heights, Inwood and Marble Hill,” the tours will introduce visitors to new areas of the city as well as educate them about the ever-changing culture and life above 155th Street. “People from other parts of the city are visiting and moving here because of its affordable housing and beautiful parks,” wrote Renner, who is the appointed historian of Community Board 12. In this film publicity image released by Disney, from left, Emma Stone, Octavia Spencer and Viola Davis are shown in a scene from “The Help.” “The Help,” a feel-good movie about the daily hardships of black maids in the 1960s-era South, has struck box-office gold and is generating Oscar buzz. Former Virginia governor L. Douglas Wilder is known around the United States as the first African-American to be elected governor of a state. It was somewhat of a deal in the Tampa Bay news media market three years, but only somewhat, and except for the hurt feelings in the black community, it didn’t go very far. In this Aug. 16, 2011 file photo, Ablene Cooper, a woman who works for the brother of author Kathryn Stockett, and her son Antonio Cooper, leave the Hinds County Courthouse in Jackson, Miss., expressesing her disappointment that a circuit judge dismissed her lawsuit against the author of “The Help” because a statute of limitations issue. For former elected and longtime activist C. Virginia Fields, 6:30 a.m. On a rainy and miserable Sunday morning was likely not her first pick for a prime time to be discussing HIV. You and your family are invited to a big weekend party at Sawyer Point for the 23rd annual Midwest Regional Black Family Reunion.